When you think about social media marketing for your real estate biz, does your stomach churn? Do you break out into a sweat or get a headache? Does your inner toddler start to throw a temper tantrum complete with “But I don’t wanna!”s and “You can’t make me!”s? If you are like most real estate agents, you answered “yes” to at least one of those questions. Well my friend, that is probably because you didn’t grow up with social media, and even if you use it casually, the idea of using it for business is well...scary, foreign, strange. Remember the good ole’ days when being a people person, and having a good work ethic, were all you needed to become a top agent? The days when door knocking, cold calling, and direct mail could make you millions as a real estate agent. Technology and is changing faster than you can keep up with? You’re already super busy you don’t have time to learn and execute new ways of marketing? You’re afraid of making mistakes and alienating people or looking stupid? I talk to real estate agents every single day that feel the same way you do. However, just because you’re afraid of social media marketing, doesn’t mean it does not work. I hope if you are reading this now, that you understand social media is not a fad or gimmick. Social media is the internet. It is the world. It is how business is done now. You may have crushed it 5, 10, 20 years ago, but that was then and this is now. It is time to stop being romantic and nostalgic about the way you wish it still was, and get realistic about how it actually is now, and how it is going to be in the future. 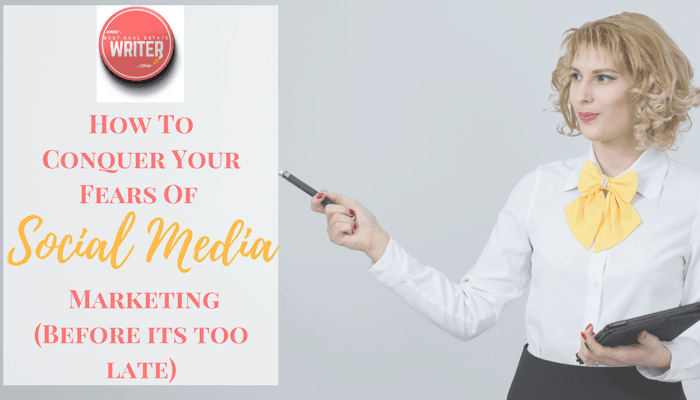 If you are ready to make the leap, get back to dominating the game, and reclaim your place as a true competitor in the real estate ring, you’re going to need to conquer your fears of social media marketing. Cliche as it may sound, nobody is perfect. I understand as a business owner, you feel a strong sense of insecurity and self-awareness when it comes to your public image. The problem is, when you allow your concerns about how people perceive you to sprout procrastination and hesitation. While you do want to put out a positive image and spark warm and fuzzy feelings about what you have to offer, you don’t need to be perfect. Far from it in fact! As a woman, I know how scary it can feel to post pics and videos when your hair and makeup aren’t perfect. I know how painful it is to generate podcast episodes when you LOATHE the sound of your own voice. In case you haven't heard yet, podcasts are the next "big thing" in marketing! At the beginning of 2017, about 24% of Americans were subscribed to podcasts, and over the course of the year, that number has really grown. Guess what? It's going to continue to grow! Here’s the thing though...while you and I care about how you and I look or sound, the market doesn’t. Honestly, your appearance should not be a prerequisite to you publishing content to social media. What you SHOULD be concerned with is whether or not you are posting something of value to your ideal prospects and clients. We all start out with 0 followers. You can’t realistically expect to start a new profile, group, or page on social media and have it explode with traffic overnight. It takes time, dedication, and consistency. Social media can be a goldmine for leads and business opportunities if you work it everyday. But again, you can’t expect the platform to do all of the work for you. If you want to generate real business from your social media accounts, you need to create valuable content to lure people to you. You need to engage with others without spamming. You need to be there for them, not you. Think of social media like a big fat pay-it-forward lottery. The more that you post content that is purely in the best interest of others, the more value you will retain from your efforts. The more you talk about you and how great you are, the harder it will be for you to grow. Now That You’re Not Afraid, How Do You Tackle It? I don’t care if I sound like a broken record. The difference between winners and losers on social media is creating valuable content in the best interest of them first. I know what you’re thinking; this sounds like even more time and work. At this point, you have two options. 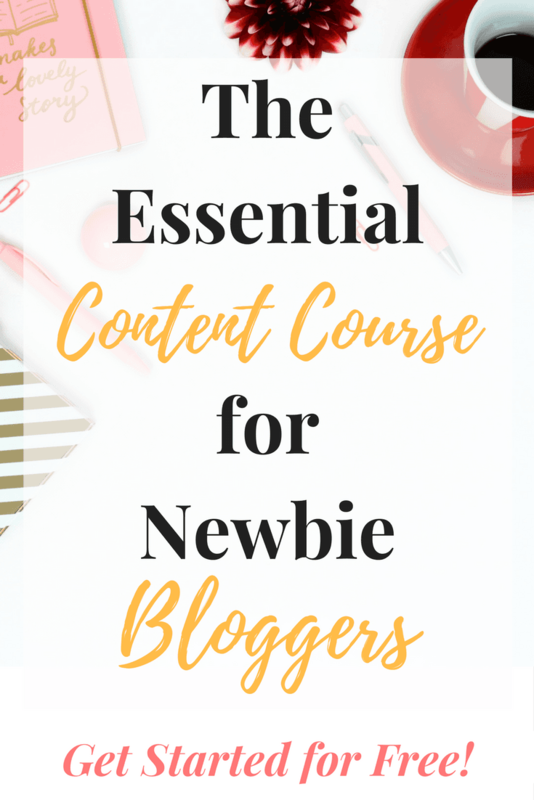 You can either master the art of creating content that sells and use tools like Buffer and Tailwind to grow your following with scheduled social media posts. If you don’t have time to tackle all of that extra work, you can hire a professional writer, like myself and social media company to do it all for you. What you can’t do, is ignore the reality that social media is here to stay and the fact that more than 80% of all real estate transactions start from online searches (according to NAR). If you aren’t winning on social media, you are losing your real estate business.